Can I be a leader? Irish Brigade monument at Gettysburg on last weekend’s Campout! Good weekend at Halgas Scout Reservation last weekend! Beautiful camp in the pigmy pines. 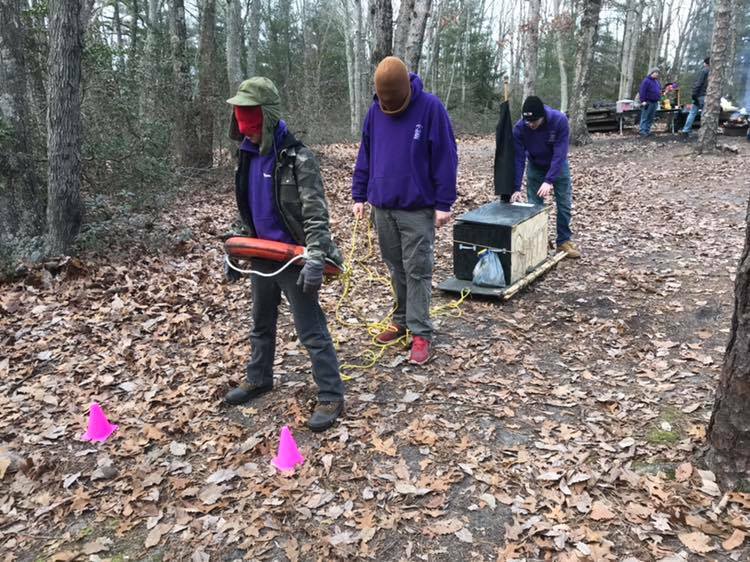 Scouts had a great time at this year’s White Horse District Klondike Derby. Each of our patrols did better than last year, and Skeleton Patrol (pictured below) took third place over all! Good job guys! Big thank you to all of the units who ran events for the Scouts, and the Brian, Nancy, and Kevin for helping run our event this year! Next Next post: James in South Jersey Magazine!